Posted on November 9, 2012 in Front Page and Musings. 0 Comments Tags: Customer Relations Management, Productivity, Time Management. 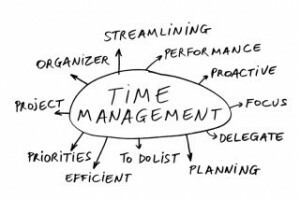 We’re always talking about tools to make you more productive, but the key element of productivity is managing your time as effectively as possible. Overdoing it on productivity apps and services can be daunting but there are a number of applications that you should be using to a) visualize your workload, b) handle it more effectively, and c) see and analyze your results. Here are some great tools to manage your time as efficiently as you can to avoid falling into the trap of not having enough hours in the day. Customer relationship management isn’t just important in ensuring the best possible customer experience, it’s a great way to visualize what needs to be done, monitor what your team is doing, collaborate with your team, and analyze results. Solutions range from free basic CRMs like Zoho to large feature-rich CRMs like Salesforce.com or Sugar CRM. This is not just a way to stay on top of everything without spending a lot of time, it’s also a great way to make sure your team is on the same page. All brands need a social media presence, but it can be incredibly tedious to manage all those accounts. With HootSuite, you don’t have to. All of your Facebook, Twitter, LinkedIn, Google+, and FourSquare accounts are all in one place. You can schedule posts, see analytics on how well your posts are doing, allow your team to post to the accounts while monitoring activity, and it helps you save a ton of time on your social media efforts. Remember The Milk is probably the most popular task management platform out there. Aside from just creating a list of tasks, the app lets you break projects down easily, sort your tasks, schedule reminders, sync with Google, Twitter, or Outlook, and create collaborative lists for tasks for your entire team. Doris is another good application that does the same things as well. We’ve mentioned Toggl before but it’s definitely worth mentioning again. It’s a very simple time tracking tool and you can quickly put in tasks and time how long they take. This helps with billing and invoicing (the app will even do the math for you and integrate with BaseCamp, Freshbooks, or Quickbooks) as well as visualizing where you’re spending your time. If your team is under 5 people, the account is free, larger accounts are $5 per month per user. While Toggl helps you keep track of your work hours, RescueTime is a personal analytics service that monitors everything you do on your computer and mobile device and reports back with very simple-to-use analytics and graphs. By seeing exactly how much time you spend doing things online, you can spot inefficiencies in your day and make real analytics-based changes to improve the effectiveness of the time you spend using your computer and mobile device. Plus, it’s free. All three of these are the nuclear option for people who can’t stop going on time wasting websites. StayFocusd for Chrome, LeechBlock for Firefox, and Self Control for Mac block access to specific sites for a specific period of time. This keeps you from drifting over to check your Twitter feed by sending you to a friendly reminder to get back to work. Thymer bills itself as the project management app for people who hate project management. It’s a lightweight and simple platform that really does make it easier to manage large projects and break them down into tasks. It’s very intuitive and well laid out. It allows you to collaborate and share docs with your team and keeps track of their hours and costs. You can try it for free but plans cost anywhere from $25 to $75 per month. This is a nice and simple invoicing app that helps you save time on…well, tedious invoicing. You can simply customize your invoice as much as you want, set up recurring invoices, integrate with online payment platforms like PayPal, send pre-invoice estimates, track expenses and costs, and track hours for yourself as well as your team. Ronin offers a limited free account but real accounts range from $15 to $50 per month.